These leafy coasters are a fun addition to any decor. They are not hard to make, so you can whip up a bunch for any number of guests. 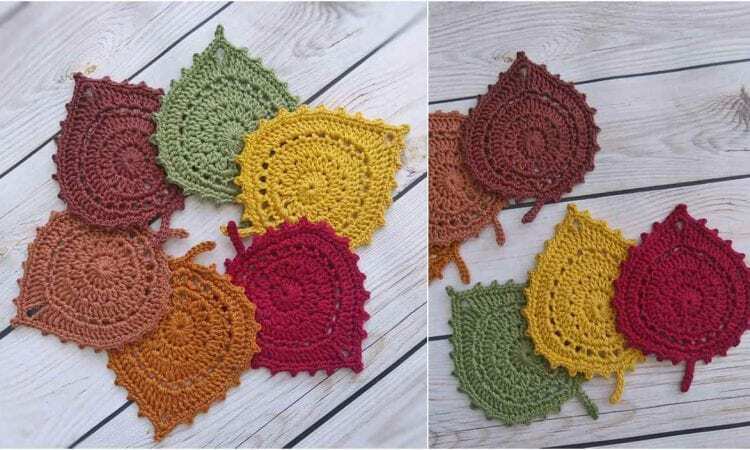 Also, you can make thematic sets, such as the rainbow set below, or a fall coloured set for halloween and thanksgiving, or… you get the picture, sky’s the limit. Lastly, they will surely be a welcome gift for friends as well. How do I get the pattern .. I can not find the actual pattern. I see the link, but it doesn’t have the pattern.